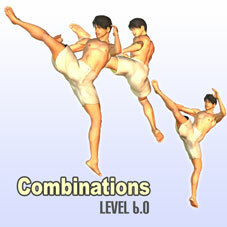 This is an animation of "Reverse Roundhouse Jumping Triple Kick" of karate. Rather than karate, it is the skill of the taekwondo. Unfortunately there is scarcely that we look in a match. We may watch it in the demo of taekwondo. Only some considerable masters can use it. I wanted to see this skill as a perfect motion, so I made this. How to buy in Xstreet? Copyright(c) Brave Stream. All Rights Reserved.